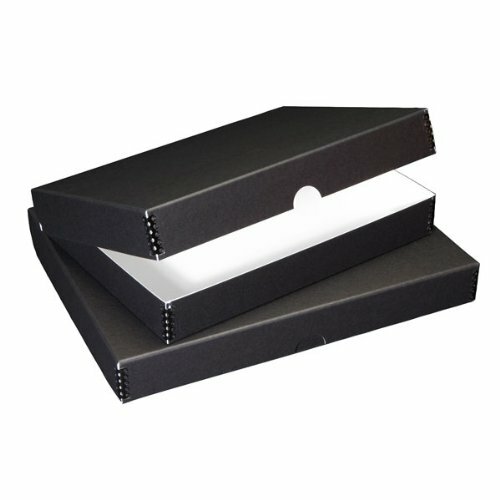 Lineco clamshell archival folio boxes are made from archival black boxboard with metal edges. Sturdy yet economical, they will store your important prints, documents, and artifacts for generations to come. 11x17 inch size. Interior measurements 11.5x17.5x1.75 inches. Lineco Archival 11x14" Print Storage Box, Drop Front Design, Exterior Color: Blue / Gray.